At Newburgh Flour Shop, we strive to enhance any celebration, big or small, with the perfect cake. 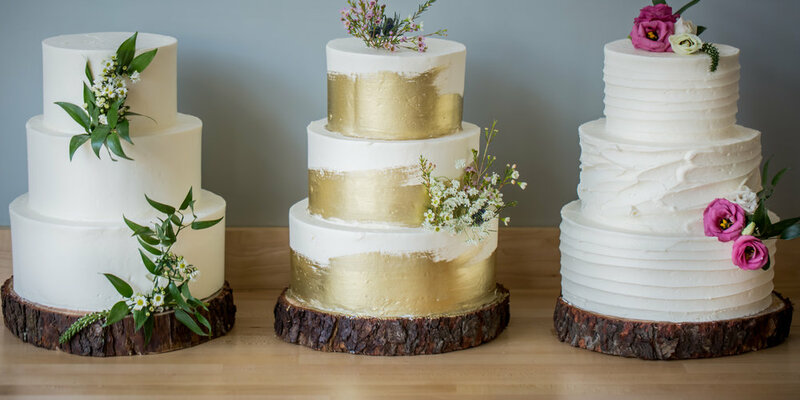 Choosing your celebration or wedding cake should be a fun and joyous experience—and we’d be so honored to be part of it! Start the conversation today by giving us a call at 845-568-3400 or emailing cakes@newburghflourshop.com. For wedding cakes, please give us a call to schedule a meeting and receive a quote for your cake. Please allow at least 72 hours (3 days) notice when ordering your custom celebration cake. If ordering a themed or character celebration cake, please call our bakery in Newburgh at least one week prior to your event. Some special features, such as gold leaf application or special character creation, require an extra charge. Call us to discuss your vision! Take a look below to check out the sponge, filling, and frosting flavors we typically have available in house. Specific sponge, filling, and frosting flavors not offered below are available upon request! Let’s talk about your cake! Shoot us an email to start the conversation about your custom celebration or wedding cake here. We’ll be sure to get back to you ASAP to start discussing your cake vision!